When I was growing up, our family had pancakes every single Sunday morning. Pancakes just naturally went along with the Sunday Comics at our house. The pancakes my mom made were large and flat, almost like crêpes. They were not your traditional dollar-sized or 6- to 8-inch diameter pancakes. Today, as I carry on the tradition of having pancakes every Sunday with my own family, I vary the types of pancakes we eat. 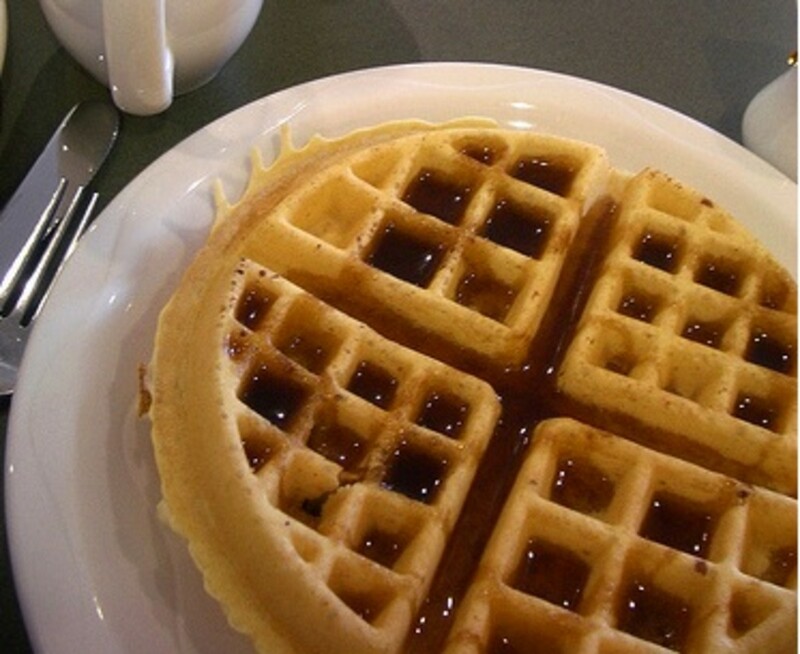 I'll even cook up waffles! Shh...don't tell my mom! 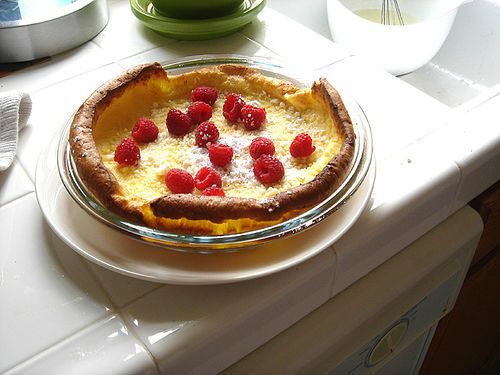 One of my favorite types of pancakes that I make these days is the puffy, oven-baked pancake, also known as a German pancake. It rises up the edges of the pie pan it's baked in, and presents itself as a pillow-y, light pancake. Made from scratch, this pancake will not disappoint! Just about ready to exit the oven. Place butter in a 9-inch pie pan and melt in the preheating oven for a few minutes. Brush the butter to cover the bottom and sides of the pan. Beat eggs slightly with a wire whisk or fork in a medium-sized bowl. Beat in the flour, milk, and salt until the batter is just mixed up. Do not over beat the batter. 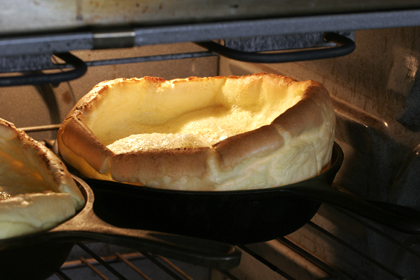 Pour batter into the 9-inch pie pan. 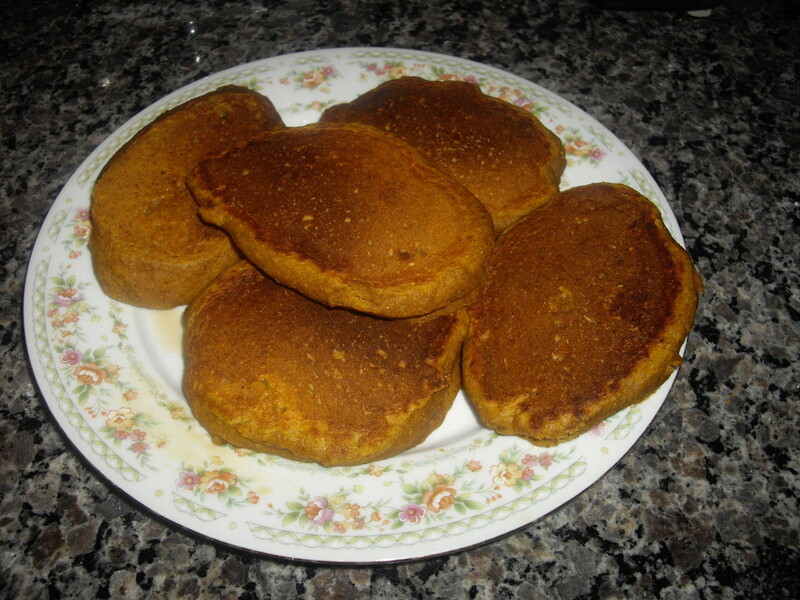 Bake for 25 - 30 minutes until the pancake is a deep, golden brown color. Remove pancake and sprinkle with powdered sugar. Add a couple drops of lemon juice for a zesty option or top with fresh fruits and berries. -mattdigiulio, you're welcome! You'll have to fulfill your craving and make some. Thanks for reading! -truthfornow, I can totally relate to the "I need a wheelchair" feeling after eating regular pancakes. I guarantee you won't feel that way after eating a puffy pancake. Thanks for commenting on my hub! 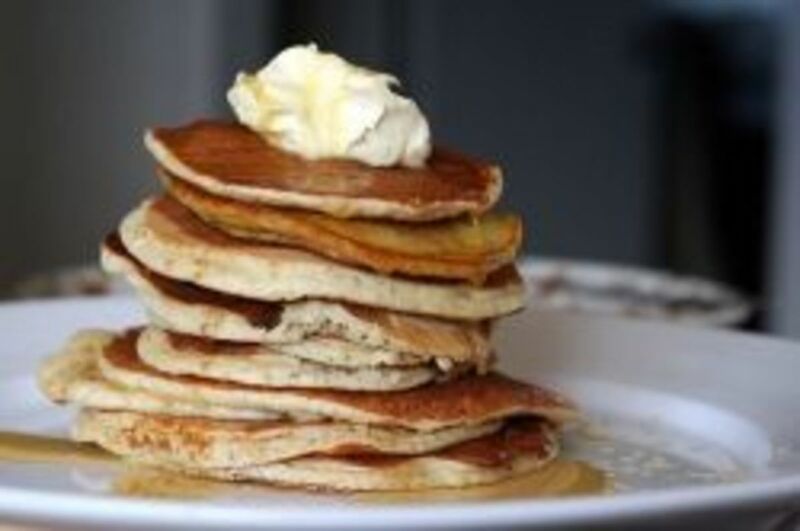 -talfonso, if you make puffy pancakes for a company brunch or something like that, I bet they will be a hit and people will talk about them for weeks and month to come. Thanks for browsing my hub! -Paul, you will have to make one soon. They are just so scrumptious! Thanks for reading my hub! -Sinea--funny how food can help us bring back memories. I'm guessing that your Saturdays were like my Sundays! Thanks for reading my hub! -Mommiegee, if you have never had these before, you'll have to try them because you'll likely never go back to the regular kind of pancakes! Thanks for reading my hub! Good gosh! I haven had puffy pancakes before, but am willing to try this recipe out! I gotta make this for a company breakfast or Sunday brunch someday! Looks so good. What attracted me to this hub was that your picture looked like it was a yummy dessert. I like the idea of a light pancake. Pancakes usually make you feel like you can't move after eating them. Thanks for the recipe. Yumn. Thanks for another mouth-watering hub! Ok, now my mouth is watering! I have definitely got to try this. Pancakes were a Saturday special for us. One of the few times dad cooked. He'd fry up bacon and then make the pancakes. Soooo delicious! I love these kind of pancakes. It's a good reminder that I haven't had them in a while. You're very welcome :-) I like honey on my pancakes too along with fruit. Syrup, aside from real maple is not good for people with all of the artificial ingredients in it. Powdered sugar with fruit though is awesome. @Athystraven - I hope you do try this. It's a great alternative if you want something different. It's also very light and doesn't slow you down as much as regular pancakes do. The powdered sugar is also a lighter alternative than maple syrup. You'll have to let me know what you think! It's easy-peasy to make, that's for sure! Thanks for reading, voting up, and commenting on my post! This sounds so good. I'm going to have to try this at home. I always make the traditional pancakes. This is going to be a new and exciting breakfast. Thank you. Voted up, useful, awesome, and interesting.